Before the Fall is a series by Utah-based artist, David Habben. This 13" x 19" print is part of a larger series that aims to show self-inflicted claustrophobia. Adding to the sense of confusion, clouds and fog envelope the figure. 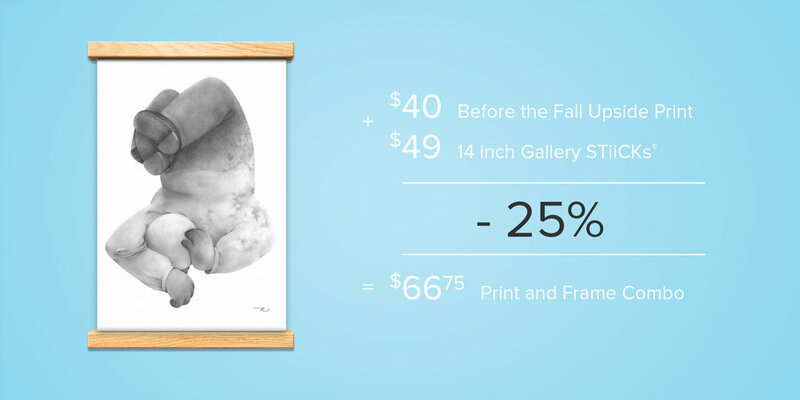 Add our Gallery STiiCKs® Magnetic frame for 25% off a print/frame combo! Our infinitely-reusable, solid hardwood framing system works like a clamp, using real wood and strong magnets to frame art without damage. At 53cm in length, this frame is tailor made specifically for this print size. Learn more here. David Habben is an artist, illustrator and educator based in Salt Lake City. David’s work explores complex ideas through the use of steady, strong line work and intricate details. This print was handpicked by the Well Made team for it’s craftsmanship. Looking for a tool-free installation with no damage to your wall? 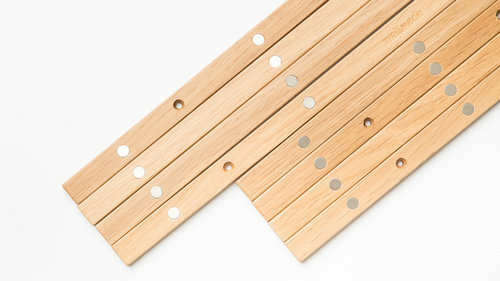 For just $0.99, pick up 4 strips and instructions for an easy install. View our FAQ or feel free to Contact Us. Interested in deals like 50% off and FREE shipping? We respect your privacy, your information will never be sold or shared.